This large sea bird is 27 inches long and has a wingspan of 55 inches. It is considered uncommon. We saw this bird first in South Islet in Tubbataha Reef. 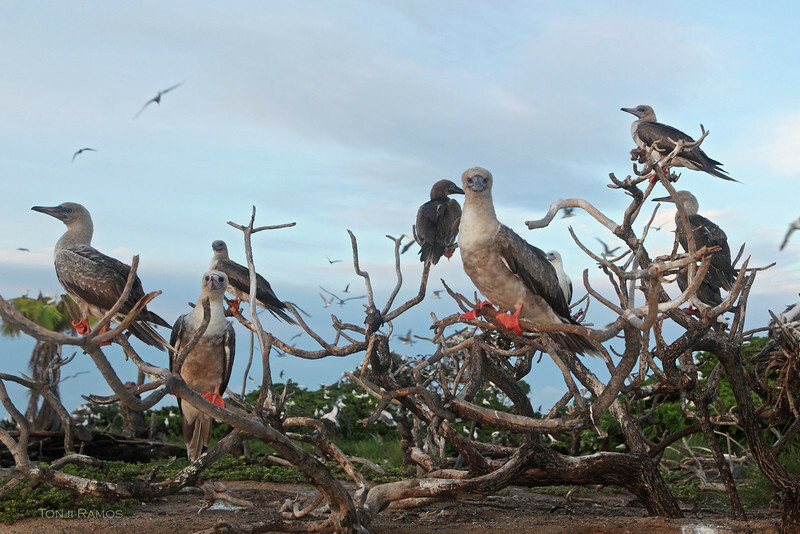 This bird makes its nest on trees and they are very numerous on North Islet in Tubbataha. We have not seen them yet in any other place. The chicks are white and the sub adults are brown with black bills. The adults are white with some yellow and they have blackish brown underwing coverts. The adult bills are blue with a pink base. We were very happy to finally see and photograph this bird. The two small islets of Tubbataha are off limits to all people year round. But once a year a survey is made by the Tubbataha Management Office and WWF. We were fortunate enough to have been invited by WWF to join the survey and get a chance to photograph these interesting birds.